Please note you are being directed to an Australian Sailing registration page. You will need to know your Australian Sailing Number in order to register. If you do not know it, please click here to look it up. 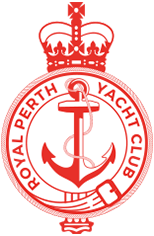 -It is important to note that any payments made will appear on your credit card as “Royal Perth Yacht Club”. -Upon entering your AS Number and surname, an email will be sent with the registration form. If you do not receive this email, please check your junk email/spam folder first and if still not recieved, contact the Club you are a member with. It may mean your email address needs to be updated in the system.